Calling all wildlife lovers! Head into the Amazon to help care for rescued animals. YanaCocha is a non-profit organization on the edge of the Amazon rainforest. 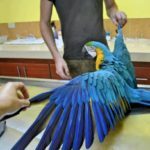 Every year, this center receives animals that have been confiscated from illegal trafficking, or donated from their owners. The animals are provided with medical care and either released back into the wild or provided with a home that is as similar as possible to their natural habitat. Being a volunteer at animal rescue centers like YanaCocha benefits you as much as it benefits the center. 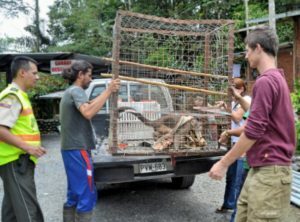 Besides getting a unique and meaningful experience to work frontline with animals and conservation dedicated staff members, here are 5 other benefits of being an animal rescue volunteer in the Amazon. 1. You instantly see the results of your labor. Getting up close to a wide range of Amazonian wildlife, you will immerse yourself in hands-on animal care and rehabilitation experience. 2. It will make you feel good. The more we give, the happier we feel. 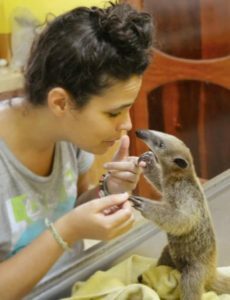 Animal rescue centers in the Amazon are often home to hundreds of rescued animals. Volunteers play an intrinsic role in the success of these centers. 3. Get up close and personal with a wide range of Amazonian wildlife as you are immersed in hands-on animal care and rehabilitation. 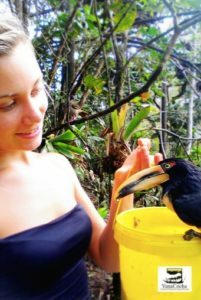 The days of volunteers revolve around caring for species of birds, primates, cats, reptiles, and other small animals. 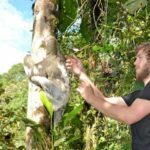 When you volunteer with animals abroad, you get a chance to interact with wildlife in their natural habitat, which allows you to experience the importance of conserving these regions. 4. 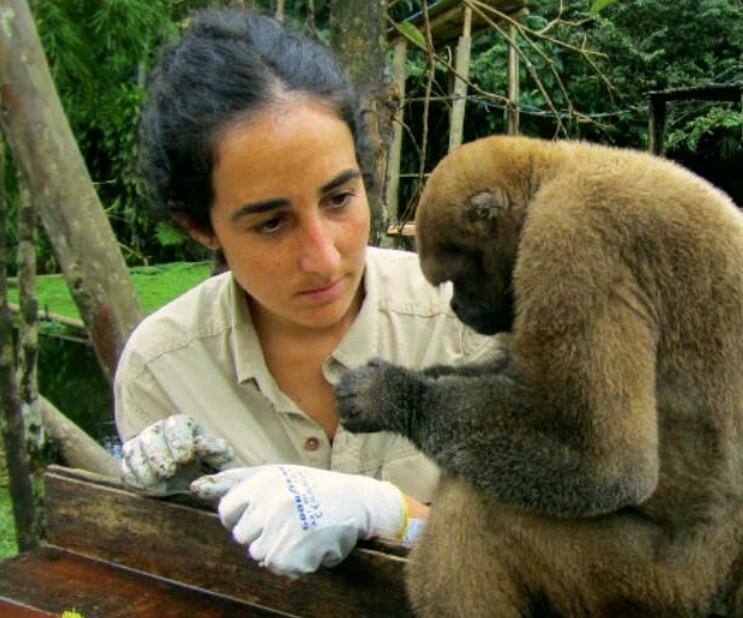 You are contributing to valuable research data to support conservation efforts worldwide. Wildlife conservation programs in natural environments help towards the prevention of the current decline in animal populations. Animals brought here are in severe threat of decline due to illegal wildlife trade, poaching and habitat destruction. Wildlife conservation is not only about caring for animals, it is also about education in the local community. Research done at these centers is important to safeguard against destructive threats and to create educational programs within local populations. 5. Go beyond tourism and work with a dedicated team of professionals, learning new career skills and making a measurable difference. 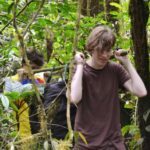 Experience what it is like to live and work as a conservationist and wildlife researching in the Amazon. 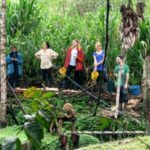 These are international volunteer programs that aim to work with a maximum amount of people to create a culturally diverse atmosphere that allows new ideas to freely flow. 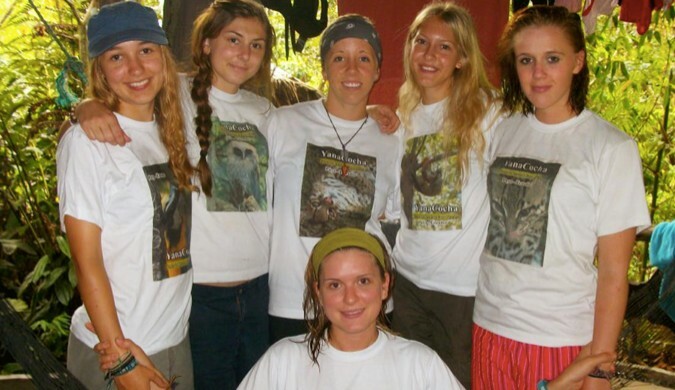 Do you have what it takes to become an Animal Rescue Center volunteer in the Amazon? Volunteers live on the center where there are cabin-style dorms. Weekly assigned tasks take up the entire day, and one weekend day includes morning work. Volunteers begin the day with a hearty breakfast of oatmeal, toast, coffee and tea and local fruits. By now the animals are hungry too, and work starts with a daily meeting and rotations are taken between mammals, birds and monkeys. Extra duties take up the afternoon and vary from cleaning, building enrichments, socializations to releasing animals and so much more! All these activities vary from day to day, where the most important tasks are prioritized. 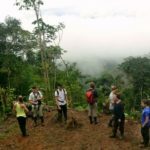 Volunteers should be ready to explore the rainforest and get muddy! Volunteers enjoy another hearty meal and break time from around 12-2:30. This is prime time for taking a dip in the swimming pool, catching up with family while chilling on a hammock, or playing games. The afternoon is filled with more general extra work duties and the day ends with a group dinner. What else do centers expect from their volunteers? Love for animals. Animals come in all shapes and sizes. Whether it is your chosen career to work with animals or simply a personal passion, volunteering abroad with animals is a decision that will both change your life, and also that of the animals you choose to help. Responsibility and Motivation. Daily duties are precise and scheduled at animal center. Volunteer programs are generally a full work-day in length. Challenges are met with a plan and volunteers have to be ready to dive in and get their hands dirty. Programs change as needed. From food preparation and feeding animals to enclosure growth and building. Different tasks depend on the number of volunteers and the priorities of the center at that moment. Willingness to learn Spanish. 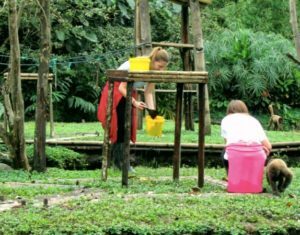 The Amazon is a perfect location to utilize staff and other volunteers to practice and improve your language skills. General good health. For the safety of animals, volunteers cannot carry any contagious or infectious diseases. Be able to work in a team. You will be living and working with other volunteers in dormitory style bunks and out in nature. Volunteers should respect each other and be considerate while completely daily duties. Interested in learning more about how you can become like one of the volunteers pictured throughout this article? 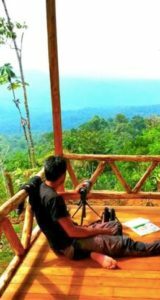 The Gapforce Blog is full of information to help you make the right decision for your gap year. 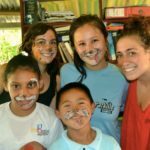 We regularly update this area with updates from our gap year programs, as well as decision-making travel tips. We also share Gapforce's values, news, and events with you, right here. Looking for our German blog? For monthly news updates and special projects subscribe to the Gapforce newsletter. © Gapforce 2017 Company number 05876382.